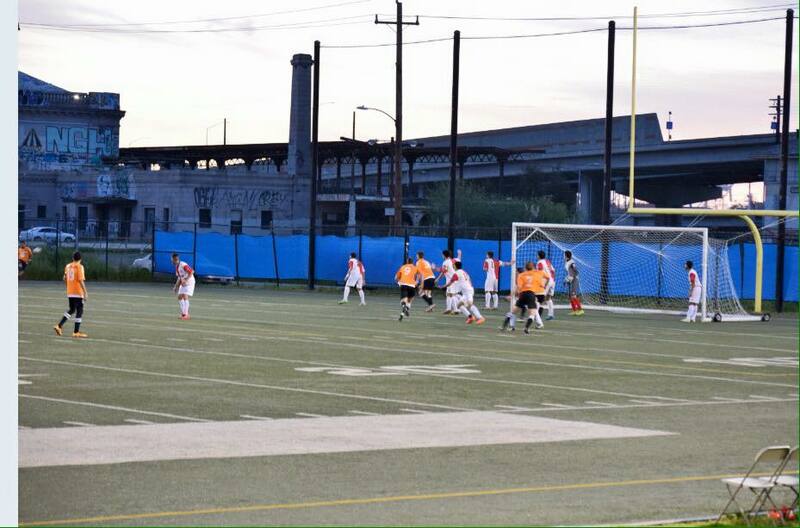 This weekend marks the renewal of one of NPSL’s best rivalries, with an added boost. The former Bay Bridge rivalry between the East Bay FC Stompers of Hayward, California (formerly San Francisco) and CD Aguiluchos USA of Oakland, California, now becomes another one of NPSL’s great intra-county Derbies, in Alameda County. NPSL has some great intra-county rivalries like the ones in Miami-Dade County, between Miami Fusion FC and Miami United, in Broward County between Storm FC and Weston FC, and in San Bernardino County between Corinthians USA and Southern California SC. These close proximity rivalries in the 4th tier of the USSF soccer pyramid can lead to some of the best rivalries in the game in the US, as currently there are no intra-county derbies in any of the top 3 soccer leagues. While an Alameda County Derby looked to be in the cards for the 2013 NPSL season, the Bay Area Ambassadors of Hayward folded the same year that CD Aguiluchos USA entered the league. 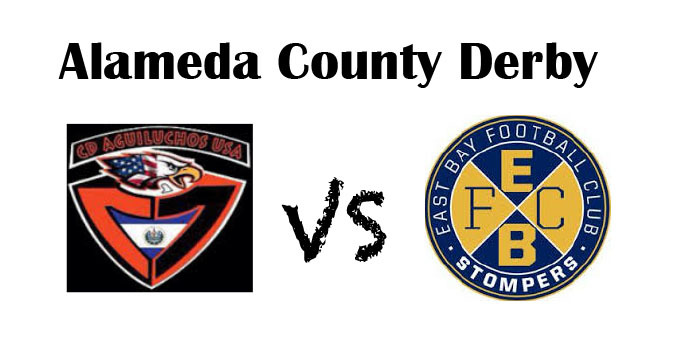 On Saturday April 9th, the East Bay FC Stompers will travel to Raimondi Park in Oakland to face CD Aguiluchos USA to mark the beginning of the Alameda County Derby at 7:30 pm. These two teams have all the fundamental ingredients that the best derby’s in the world have to begin to build one of the best rivalries here in the United States. While these two teams have some similarities, their differences set up a great local grudge match. First, both teams were founded to pay tribute to another club. The Aguiluchos were created to pay tribute to a current club in another country, CD Aguila, of the Primera Division of El Salvador, a team with no local ties to the East Bay. The Stompers pay homage to arguably the most successful club in the region’s soccer history, the old Oakland Stompers of the NASL. While neither team previously had rights to the City of Oakland, and Aguiluchos were there first, the history of the Stompers brand makes it “feel” as though Aguiluchos took the home of the Stompers. This feels very similar to what happened more than 100 years ago when Liverpool FC was created and took control of Anfield Stadium. Which at the time was the home park of Everton FC. Many on Merseyside would argue that this was the root of one of the world’s best rivalries. The Merseyside Derby. Second, CD Aguiluchos use Spanish as their main language when it comes to social media and game day public announcements. While not specifically targeting only Latino fans, this marketing strategy will most certainly lead to a much higher level of attraction for Spanish speakers to follow the team, and make it more challenging for local English speakers to become fans. However, it is likely that announcements in Spanish will reach El Salvadorian soccer fans from much further than just Alameda County. On the other hand, the East Bay FC Stompers brand will attract local die hard English speaking soccer fans from the East Bay who know the great soccer history the region holds, but will not likely stretch much further than the county itself. Having cultural differences, as well as local vs. global ties is similar to many of the great world derbies. For example, Argentina’s Superclássico Derby between Boca Juniors vs. River Plate features a team founded by Italian immigrants (Boca Juniors) vs. a team named for local port workers from the Buenos Aires Port (River Plate). Another example is the great Old Firm derby in Scotland with two religions on different sides, the Rangers FC (Protestants) vs. the Celtic FC (Catholics). Third, there is a difference in the stadiums between CD Aguiluchos and the East Bay FC Stompers. While neither team at this point can be seen as representing the working class or the upper class club, the current fields used can in someway reflect this difference. The working class club vs. the upper class club is classic in most great soccer rivalries, from Boca vs. River Plate in Argentina to Everton vs. Liverpool in England to Olympiacos vs. Panathinaikos in Greece. Great rivalries thrive on this class difference. CD Aguiluchos play in arguably the most working class area of the region, on a local rec soccer field surrounded by warehouses, freeways, and train tracks, covered by American football lines (Raimondi Park). 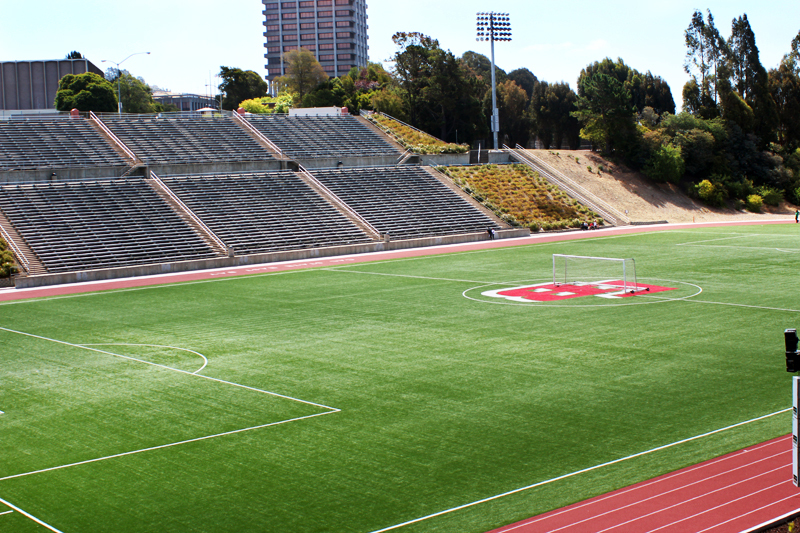 The Stompers will play their home games in a stadium with 5000 seats on the Cal State University East Bay campus where a former women’s pro team played (Pioneer Stadium). 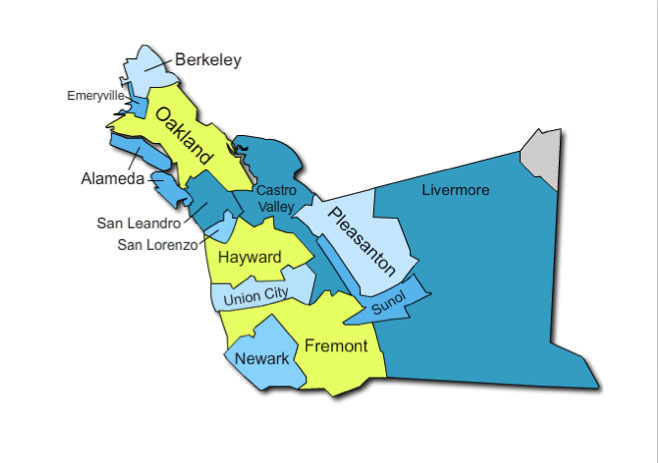 This is not to say that either Hayward or Oakland are exclusively blue collar or white collar, it is simply to point out that the appearance and surroundings of Pioneer Stadium will definitely feel more upper class than working class. And while field use is limited at Pioneer Stadium, almost anyone can register to play at Raimondi Park. CD Aguiluchos come into this game off of a 5-3 loss in Sacramento last week leaving them with just 1 point from their first two games. The EBFC Stompers got a 2-0 win on the road in San Jose to open their season with the early 3 points. Players to look out for are #7 Arturo Gomez, Man of the Match for the Stompers in their opener and #9 Simon Rawnsley for CD Aguiluchos, the NPSL defending Golden Boot winner. While not there yet, the future of this rivalry has the potential to be as good as any in the world, and definitely can over take most in the United States. The close proximately and differences between these two clubs are what rivalries are organically built on. While MLS and NASL are manufacturing rivalries, like the LA Galaxy vs. LAFC or Fort Lauderdale Strikers vs. Miami FC, NPSL has the potential for organically grown, grassroots rivalries, that have the potential to be the best derbies this Country will have. But this all has to start with the fans, the ultras, the barra bravas, and of course the community.